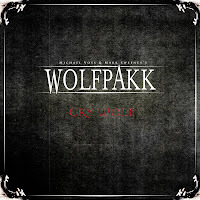 Rock & Metal 4 You: CD-Review: Wolfpakk - "Cry Wolf"
Allstar-projects seem to be in trend right now. 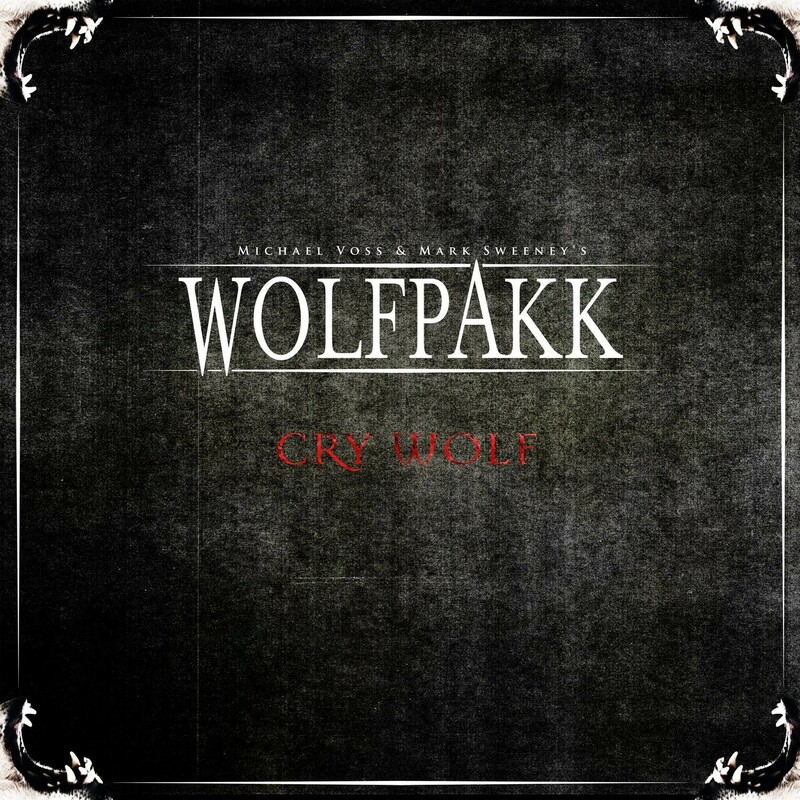 After Avantasia, Avalon and Charming Grace, Michael Voss (Mad Max, ex-Casanova) & Mark Sweeney (ex-Crystal Ball) send their second Wolfpakk-album "Cry Wolf" into the race. The two masterminds gather a true armada of guest musicians around them. With members of Primal Fear, Axel Rudi Pell, Iron Saviour, Krokus, Masterplan, Deep Purple, Whitesnake and many more they don't need to hide from other projects. Let's see if this mixture works! Two years ago the first Wolpakk album arrived and featured also a bunch of great musicians like Mark Fox, Tim "Ripper" Owens and Jeff Scott Soto, but at the end of the day it couldn't satisfy me, due to uninspired songwriting. So, when I read the list of guest musicians on "Cry Wolf" I couldn't fall into euphoria, because only name-dropping doesn't make a good album at all. But my worries were blown away after listening to the first song "Moonlight". This one is a very good Power Metal anthem with Ralf Scheepers (Primal Fear) on vocals and Mandy Meyer (Krokus, Unisonic) on guitars. This is Melodic Metal at its best! Voss and Sweeney show again how it's done with the following track "A Matter Of Time" - a great Hard Rock tune, refined with the powerful voice of Johnny Gioeli (Axel Rudi Pell, Hardline). In general I was surprised that so many songs offer many great melodies. The whole album seems much more melodic and compact than the debut album. Ok, with "Dark Revalation" we have the first track, which can't keep up with the rest of the songs ... it's more a Metal tune off the shelf with a riff you heard a thousand timers before, but the following "Cold Winter" lets you forget this average song immediately. "Cold Winter" is the typical radio-friendly ballad on this record, but it comes along with so many fantastic harmonies and the lovely Amanda Somerville (Avantasia, Trillium) on vocals. I said it a few times now on different Reviews and I say it again: I love her voice - so warm and sympathic, it fits perfectly to the song. Tony Mills (Shy, TNT) is the next one in the line: on "Palace Of Gold" he sings his heart out. Again, we get one hook after another, amazing song! "The Beast In Me" follows this path and features Göran Edman (ex-Yngwie Malmsteen) on vocals. Especially the amazing guitar solo by Roland Grapow (Masterplan) blew me away. The next track is dedicated to one of the worlds biggest Heavy Metal festivals: "Wakken" is a true anthem with a great sing-along-chorus. It's the perfect song to raise your fist and rock out. In some moments it reminds me a bit at the latest Kissin' Dynamite stuff. I think Hannes' voice would have fit very well to this tune. "Pressure Down" is another pounding rocker, where Doogie White (ex-Rainbow, Michael Schenker) shows his talents on the microphone. To this point everything was perfect, but then we get three songs, which are not as good as the rest of the album: "Run With The Wolf" is a cover of the Rainbow classic and the question is: was it necessary? I don't think so. Ok, it's a straight forward rocker, but the original was better. After this one we get to hear the ten minutes long title track "Cry Wolf" and this song is a perfect example how to waste potential. On this one Wolfpakk try to sound more epic. The whole song isn't very catchy and more bulky. What bother me the most is the fact that the chorus is so damn uninspired. This song could have been so huge and epic with an anthemic, well developed chorus, but instead of this it just comes along with a riff and some gang shouts and that's it. Nevertheless, Blaze Bayley (ex-Iron Maiden) makes a pretty good figure on vocals and one of my favorite guitar heroes Mr. Kee Marcello delivers a terrific guitar solo. The bonustrack "Kid Raw" is also just "OK", nothing special or mind-blowing. I already said much about the guest musicians, now let me tell you something about the masterminds Michael Voss and Mark Sweeney: both are outstanding vocal talents and especially Michael shows his best performence ever at the microphone and on guitar. The two artists sing in a more agressive style and this fits perfectly to their raspy and raw voices. Sweeney and Voss wrote all songs together and were also responsible for the production. What can I say? The production is fantastic: sharp, clear and powerful. This is how Melodic Metal should sound in 2013! 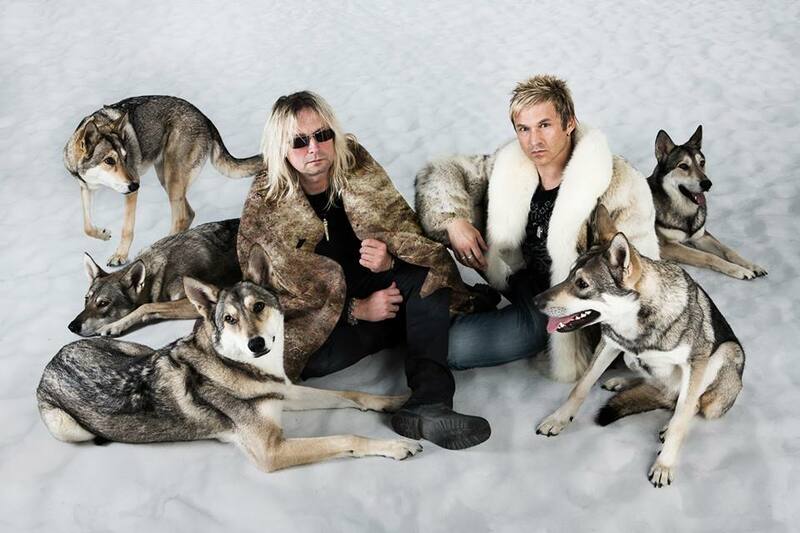 The bottom line is that "Cry Wolf" delivers stunning performances from many well-known musicians, excellent instrumental work, a top-notch production and strong songwriting (on most tracks). Sadly I've to pull off a few points, due to the weaker parts in the end of the record, but that doesn't influence the fact that Wolpakk are in really good shape. All in all "Cry Wolf" is an enjoyable album, which is worth to find its way in every collection of true Melodic Metal and Hard Rock fans!